The concern for environmental sustainability by the banks has given rise to concept of Green Banking. The concept of “Green Banking” will be mutually beneficial to the banks, industries and the economy. Green financing is the part of green banking. Green banking means promoting environmental friendly practices and reducing your carbon footprints from your banking activities. Green banking aims at improving the operations and technology along with making the clients habits environment friendly in the banking business. It is like normal banking along with the consideration for social as well as environmental factors for protecting the environment. It is the way of conducting the banking business along with considering the social and environmental impacts of its activities. Green banking is very important in mitigating the following risks involving in banks. Due to climate change and global warming there will be direct as well as indirect costs to banks. 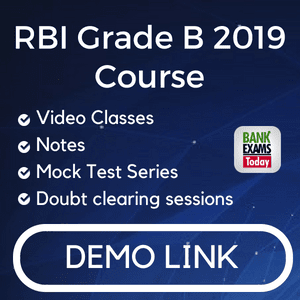 It has been observed that due to global warming there had been extreme weather condition which affects the economic assets financed by the banks thus leading to high incidence of credit default. 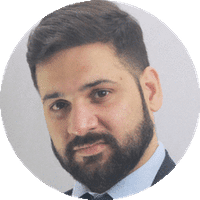 Credit risk can also arise indirectly when banks lead to companies whose businesses were affected due to changes in environmental regulation. Banks like other business entities face legal risk if they do not comply with relevant environmental regulation. They also face risk of direct lender liability for cleanup cost for damages in case they actually take possession of pollution causing assets. Due to increasing environmental awareness banks are prone for reputation risk if their direct or indirect actions are viewed as socially and environmentally damaging. Reputation risks emerge from the financing of environmentally objectionable projects. Indian Banks can adopt green banking as business model for sustainable banking. Some of following strategies little reflected in their banking business or must be adopted by banks. All Nations must reduce greenhouse gases emission and reduce carbon to protect our environment. These emissions must be certified by Certified Emission Reductions commonly known as carbon credit. Banks can develop innovative green based products or may offer green loans on low rate of interest. As Housing and Car loan segments constitute the main portfolio of all banks so they adopt green loans facility. All banks are shifting on CBS or ATM platform providing electronic banking products and services. So there is a scope for banks to adopt paperless banking. Private and foreign banks are using electronics for their office but in PSU banks are still using huge paper quantity. Banks have to install energy efficient equipment’s in their office. Banks have to transform this green banking in hardware, waste management, energy efficient technology products. Banks can donate energy saving equipment to schools and hospitals. Banks have to provide common transport for groups of officials posted at one office. Indian banks can initiate various social responsibility services like tree plantation camps, maintenance of parks and pollution checkup camps. SBI has launched green banking policy and set up windmills in Tamil Nadu, Maharashtra and Gujarat in generating 15MW power. This is the first bank in India which is in green banking and promoting green power projects. They had taken various steps for reducing emission and energy consumption. They had taken various green banking initiatives such as financing a commercial project. BOB is giving preference to environment friendly green projects such as windmills, biomass and solar power projects which help in earning the carbon credits. As a part of green banking initiative it had adopted environmental friendly measures such as mobile banking, internet banking, telebanking, solar powered biometric operations. ICICI bank had started ‘Go Green’ initiative which involves activities like Green products/offerings, Green engagement and green communication with customers. HDFC bank is taking up various measures for reducing their carbon footprints in waste management, paper use and energy efficiencies. Through the ‘Think Green’ initiative this bank had taken several initiatives such as to reduce the paper consumption and encouraging their customers to sign for e-statements and they had become partners with ‘Grow- Trees.com’ to plant one sapling for every e-statement on behalf of its customers. It has initiated its Green Office Project under which it had installed solar powered ATMs in different cities targeting energy saving as well as reducing CO2 emissions. It has projects portfolio in the areas of alternative energy and clean Technologies. HSBC has separate targets for data center, paper consumption and business air travel. The purposes of the targets are to drive efficiency, reduce its operational impact on the environment and generate cost savings. IDBI Bank is providing various services in the field of Clean Development Mechanisms (CDM) to its client. Green banking refers to the initiatives taken by banks to encourage environment-friendly investment. Green banking as a concept is a proactive and smart way of thinking towards future sustainability. It is very important for the banks to be pro-active and accelerate the rate of the growth of the economy. As there is a continuous change in the environmental factors leading the banks face intense competition in the global market. Banks needs to apply morality of sustainability and responsibility to their business model, strategy and formulation for products and services, operations and financing activities and become stronger. By adopting the environmental factors in their lending activities banks can recover the return from their investments and make the polluting industries become environment-friendly. 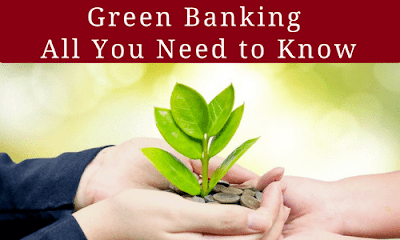 These are the major information about Green Banking in India.